Ripple, the company behind XRP is one of the fastest growing companies in the crypto world. Besides the currency XRP being popular among crypto enthusiasts, XRP is becoming the most opted international money transfer medium. This itself is a very interesting point, XRP is the best-suited option for international money transfers? Saying that the currency was designed for making cross border payments smoother and easier would not be wrong. 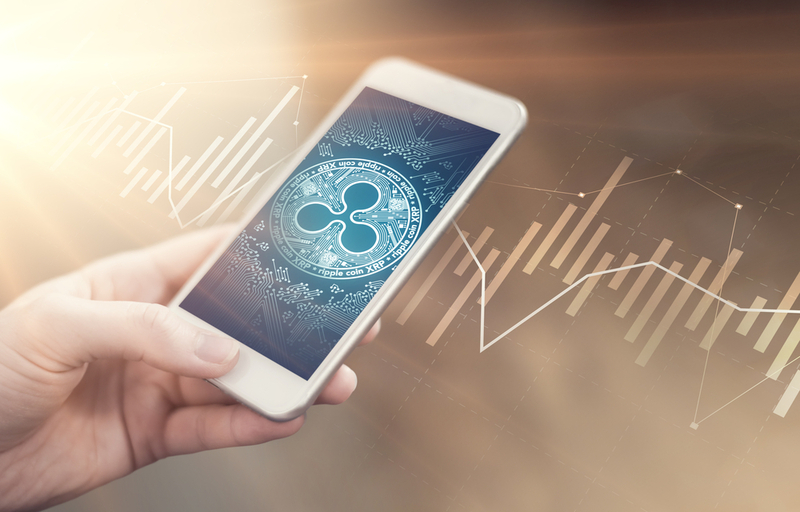 XRP was developed with the aim to facilitate cross-border payments however it will be soon to make a decision about Ripple overtaking SWIFT. While XRP is in the race, it is getting lots and lots of attention from all other industries especially banking and financial institutions. This huge attention has got Ripple approximately 200 global customers with RippleNet operating in almost 40 countries. Many of the big and intermediate companies are testing or using XRP payment services. Anyone who is following ripple or knows about Ripple has heard something about xRapid for sure. xRapis is also a product from ripple company like xCurrent and xVia. xRapid is the company’s financial product and mainly responsible for cross-border remittances to compete with SWIFT. Banks and financial institutions using xRapid are happy to use xRapid as they save up to 70 percent with transactions executing within seconds. Before xRapid only SWIFT was able to provide this service and people accepted this due to the only option. As the time grows, need and expectation from the product grows however in this digital era SWIFT is still like before. SWIFT takes approximately 3-4 days for a cross border transaction to complete. It is long spam for money transfer in this era where everything is running fast. SWIFT is not centralized and hence not as secure as a payment method should be. Its chances of being hacked or attacked by hackers are high. There is no track of payments being lost. As this is just the messaging system and does not provide tracking. Transaction fees are very high and not suitable for a low amount of transactions. These are the potential areas of growth and Ripple xRapid did all efforts to overcome this. It did succeed too. xRapid aims to make these transactions faster and cheaper and it uses XRP to settle these cross-border payments. xRapid uses XRP as a token which is used to transfer currency. With respect to SWIFT, xRapid is way faster. It executes transactions within 2-4 second globally. This is a huge positive point. With xRapid you can transfer one currency to another directly without having need to convert it to any standard currency. The transaction fee is very low as compared to SWIFT which is again a relaxation for the users. Due to the system being decentralized, it is completely safe. People often consider Ripple and xRapid one, like Ripple and XRP. So, what is the difference between Ripple, XRP, and xRapid? xRapid: It is basically a payment solution to facilitates cross-border payments. XRP: XRP is the cryptocurrency by Ripple company which is also used by xRapid. Ripple: When we generally say Ripple, it means the company Ripple labs which have created XRP, xRapid, xCurrent and xVia. Let’s assume Person A lives in US and Person B in India. Now, A wants to send $500 to B who is in India. One traditional method to achieve this is via SWIFT payments which usually take 3-4 days with high transaction fees. Another method is using a cryptocurrency exchange. A can transfer this money to XRP currency and XRP will convert it automatically in INR with partner exchange in India. The associated fee is almost negligible and the whole process takes 3 4 seconds to complete. Isn’t that amazing? This is how XRP comes in the picture in cross border remittances, but the platform is xRapid. Why Banks are in favor of xRapid and why it is so powerful? Let us for a second forget the concept or xRapid and XRP. So, how banks transfer money from one country to another? There is a concept of Nostro accounts which banks use to make cross border payments. Nostro accounts are the accounts which a bank hold in other countries with foreign currency. Now, these banks need liquidity to establish a foreign exchange which means a lot of money. Having liquidity in a number of currencies in Nostro account is quite tough to manage and hence insufficient. Simply switching to digital cryptocurrencies will resolve this main problem of banks to maintain pre-funded Nostro accounts in local currency in different countries. This option seems more efficient than the traditional one. Ripple is still working towards building exchange partners and there is no doubt that these partnerships will eventually increase the price of XRP token. As of now nine financial institutions are using xRapid commercially and few others are using xCurrent and the CEO of the company says “dozens of banks will start using xRapid by the end of 2019”. Ripple has finally now merged xRapid and xCurrent to one product called RippleNet. The services are bundled together in one package which makes easier for the banks to use the product as ultimately both of them requires XRP token. Ripple company is working hard and they will surely cherish the fruit of it in the future.